My little girl loves flowers. Whenever she sees one, she picks it, she studies it, she smells it & then normally she gives it to me. 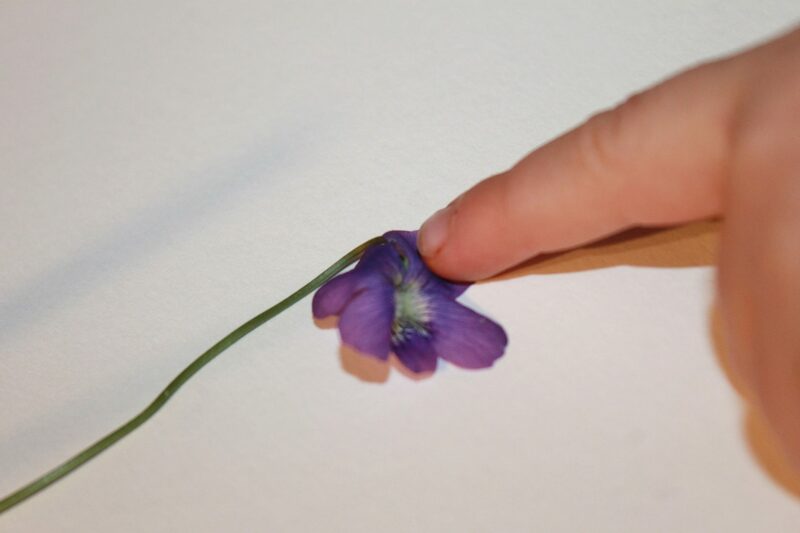 She picked me a few violets this weekend. She lovingly handed her freshly picked flowers to me & asked me to smell them. I smelled them, smiled & then asked her a few questions about the violets. 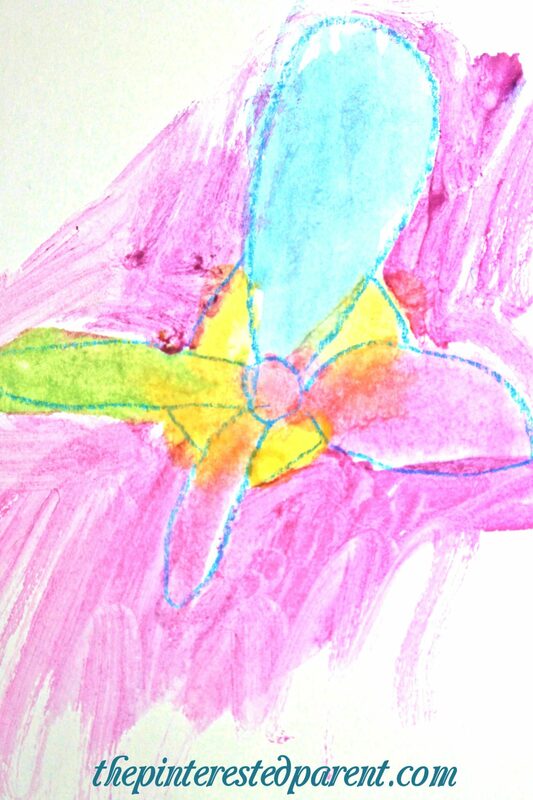 I asked her, what color they were & how many petals they had. Studying our flowers so closely, reminded me of Georgia O’Keeffe & her lovely flower paintings. I have taught my daughter about a few famous artists. 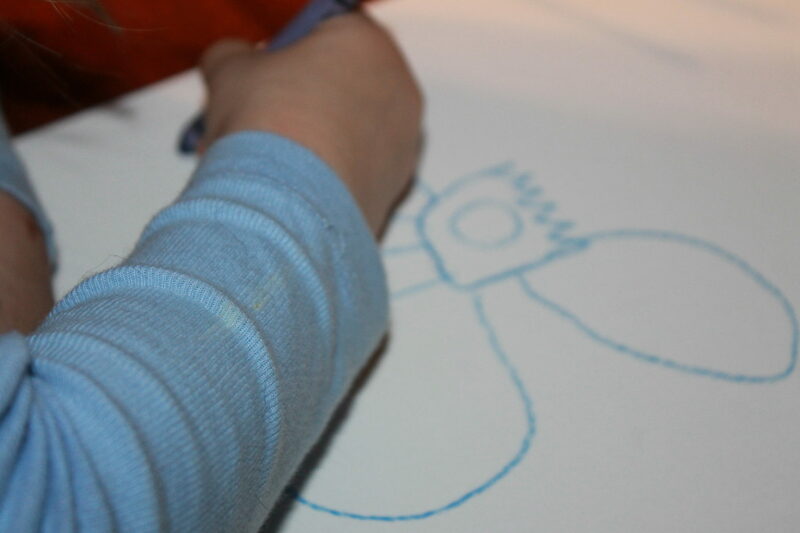 At preschool, her teacher even told me that she came in one day telling her stories of Kandinsky. I was so proud. 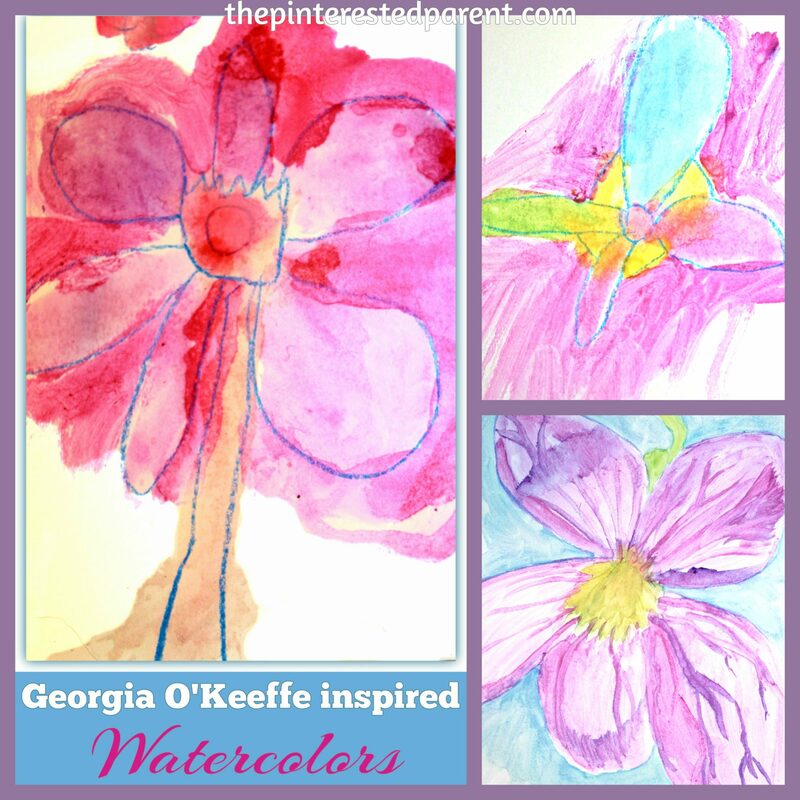 This weekend, we had a lesson on Georgia O’Keeffe. I showed her a bunch of her famous paintings. We discussed them a little & my daughter showed me the ones that she liked & even pointed out a few that she didn’t care for. It seemed that she favored the ones with the brightest colors & did not like the ones that were mostly white. 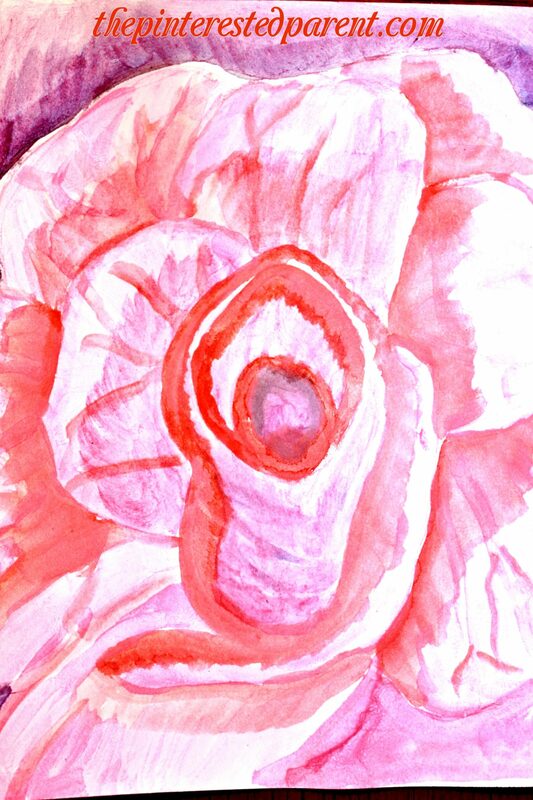 I showed her the violet again and asked her if she wanted to paint it like Georgia O’Keeffe. She said she wanted to make her own flowers. 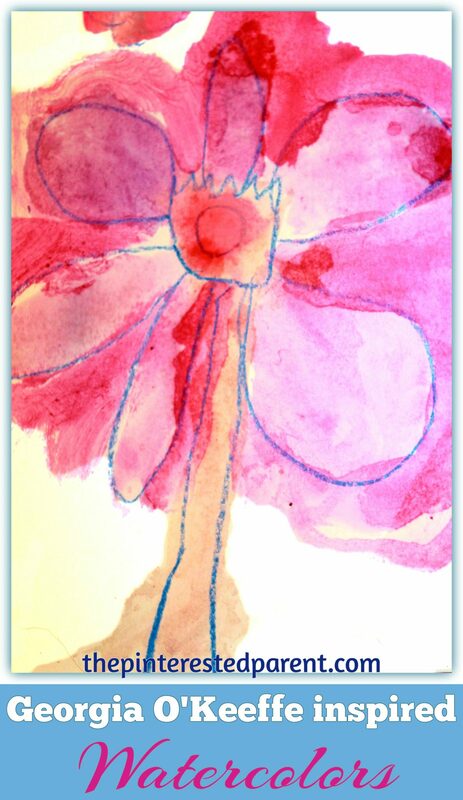 She drew her first flower with crayon on watercolor paper & then used our homemade watercolors to paint it in. 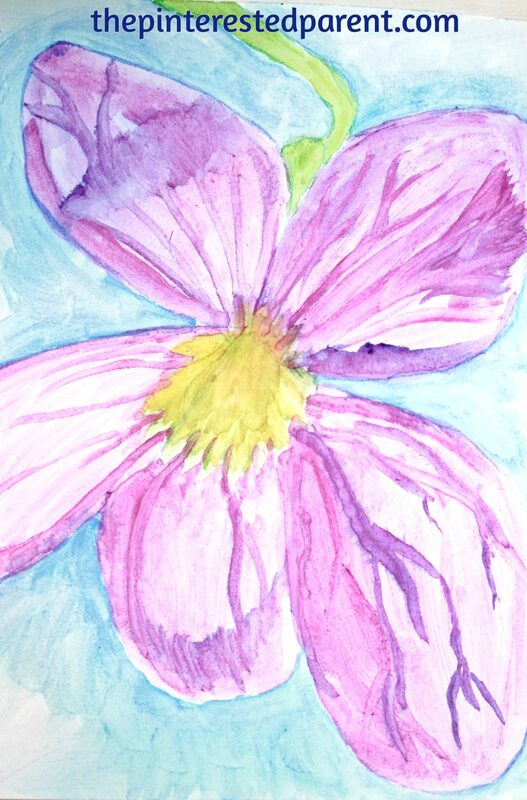 While she painted hers, I painted the violet that she brought me. 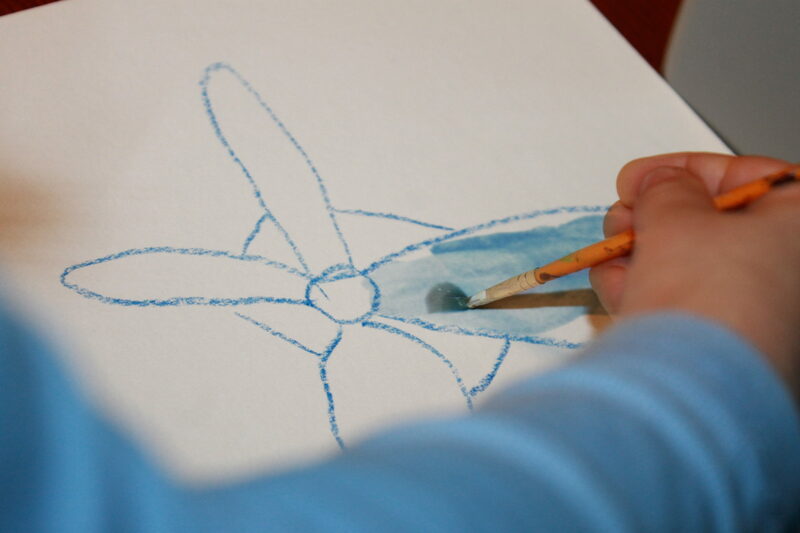 When she finished her first painting, she wanted to make another. 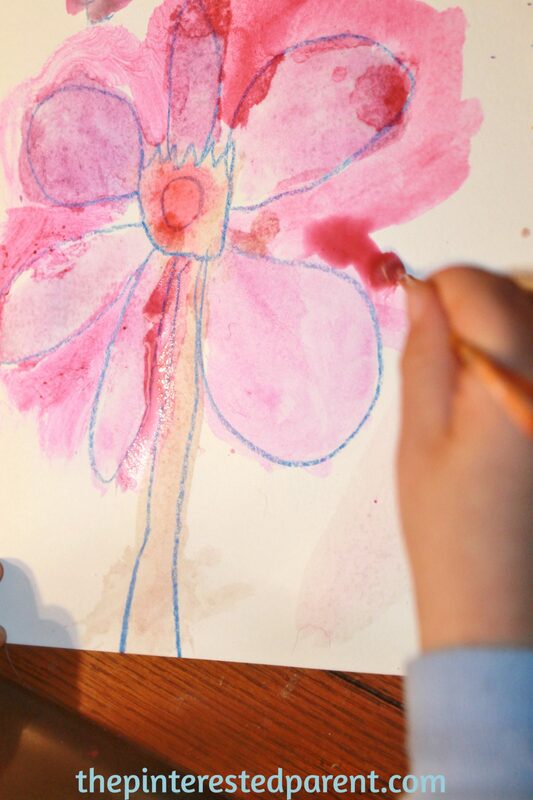 “Mama, you paint too.” she told me, so we both painted another. Her paintings came out great. 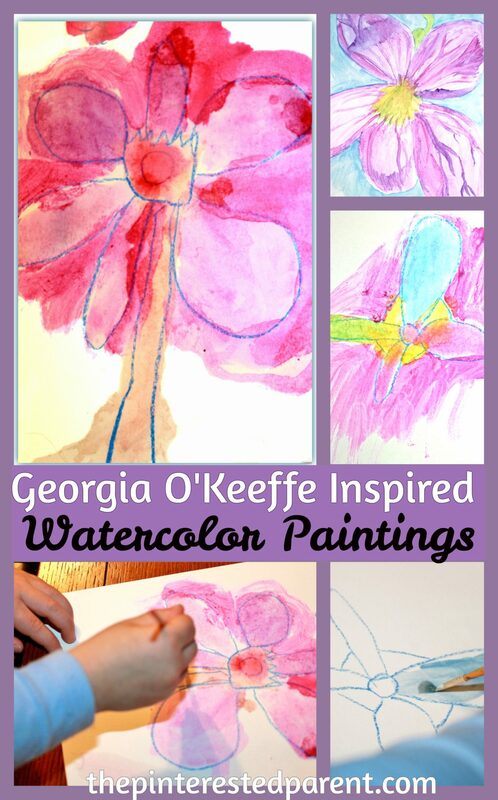 Let’s see if this week she goes into preschool & gives the teachers a lesson on Georgia O’Keeffe. Thank you as always for reading. Please visit us on our Facebook page as well. Thank you. 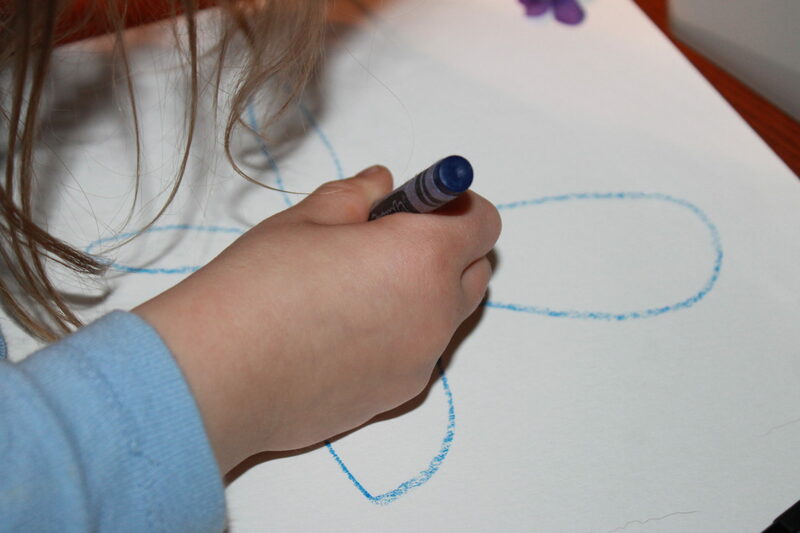 She is a little artist.